Hi. I write lots of stuff. I create flash fiction that is funky yet also thoughtful, non-fiction that is provocative but also caring and serious. Like most people, I learned to write as a child at the start of primary school. By the end of primary school, I was writing stories for myself and articles for the school newspaper. I haven't stopped writing since. 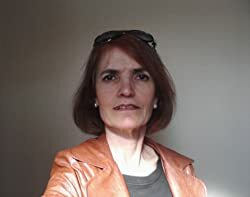 I have written for clients and staff of global high-end consultancy firms, for the readers of women's magazines and newspapers on topics such as child abuse and the death of my mother, for geochemists and environmental chemists, and now I write for you too. I have had blue hair and turquoise hair and pink hair. I have emigrated several times, and now home seems to be wherever I lay my head. I also rescue animals sometimes. Why not join me on my travels? Follow me! Please enter your email address and click the Follow button to follow Angelina Souren!